When Saint John’s Alumni stop by the Woodshop for a tour, they often want to know, “Do you still make furniture for the dorms?” To which we respond, “Yes we do.” And they typically follow this up with another question, “Is it still made out of solid wood from the Abbey’s forest?” “Yes it is.” “And it is still made by hand?” To which we can only respond, “It certainly is.” They seem to see this as a good thing and so do we. Over the past five years, we have crafted 638 beds and 653 bookcases for various University dorms. Each piece is branded with our Woodworking seal to remind students that this piece of furniture is unique. 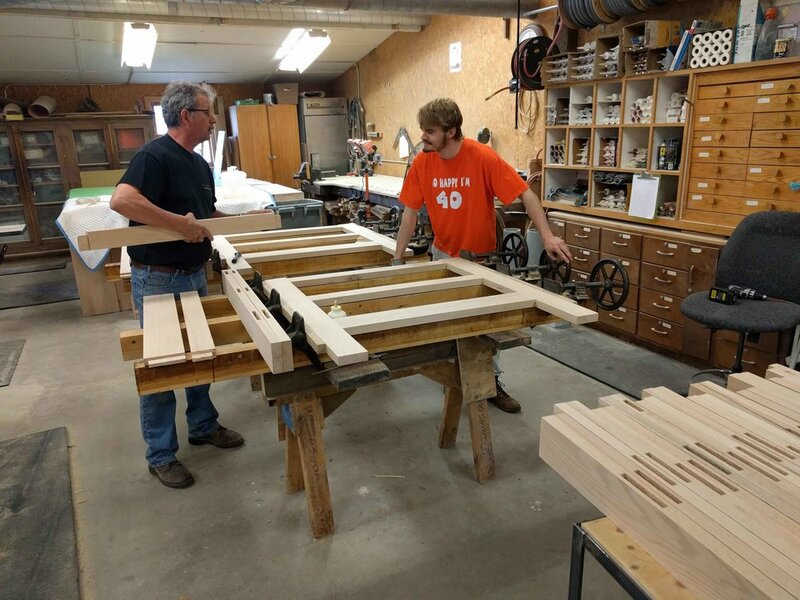 Like the alumni who stop by the shop, we hope this furniture communicates to our students the values of durability, honest use of materials, craftsmanship, and sustainability. The University could buy furniture elsewhere, but they too believe in these values…even down to the furniture. As the original Tommy Hall bookcases were replaced last summer, instead of throwing these 60-year-old pieces into the dumpster, they were offered to the staff and faculty of Saint John’s. I think it says something about our reputation as a woodshop and the quality of our furniture, when every one of these bookcases was claimed by the next morning. We hope to continue making dorm furniture and meeting the needs of our campus well into the future. 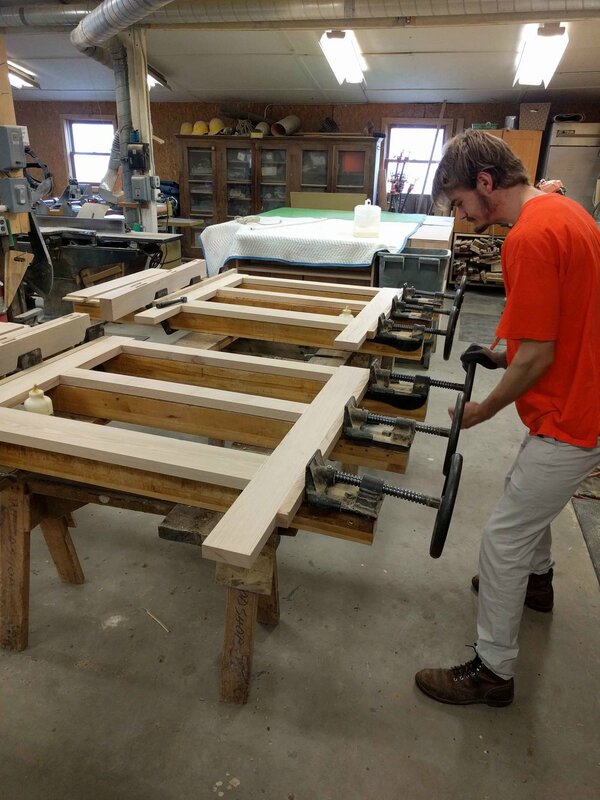 See the pictures below to see some of the dorm furniture in process this month. If you want to experience how our dorm furniture is made in person , feel free to stop by the Woodshop. We’d be more than happy to show you around.